Cloud computing can improve the efficiency, effectiveness and flexibility of Not for Profit organisations, however first they need to learn to let go of the things that don't matter, according to Holly Ross, CEO of the Nonprofit Technology Network. Cloud computing can improve the efficiency, effectiveness and flexibility of Not for Profit organisations, giving them more time and resources to focus on their core mission, however first they need to learn to let go of the things that don't matter, according to Holly Ross, CEO of the Nonprofit Technology Network. 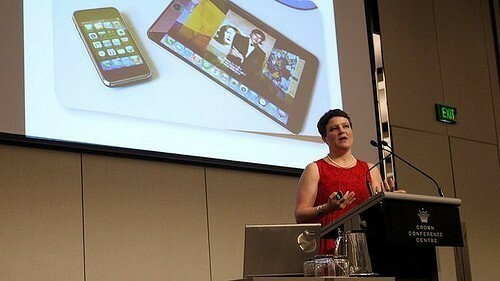 Addressing 400 delegates at the Connecting Up 2011 Conference, Holly Ross gave her insights on what she sees as some of the technology trends that are important to understand when managing Not for Profit organisations – including cloud computing, 'the next big technology trend'. While definitions of cloud computing differ from one another greatly, in practice it generally involves organisations running their applications and communications remotely, via a second party, which they connect to over the internet. A simple example of this is Gmail, and the range of applications that come with it – such as Google Docs. The services are hosted on a provider's server, with the provider's staff responsible for the maintenance. Instead of buying the equipment and hiring an IT staff member to look after it, cloud computing involves renting a service, such as data storage or email. Ross says the rise of cloud computing is showing how Not for Profit organisations are able to let go of the things that don't matter -such as foundation and operational tasks like owning and operating a server (“keeping the lights on”) – so they are able to spend more of their time and resources focussing on how to use technology to enhance people's lives. CEO of Connecting Up Australia Doug Jacquier says he expects cloud computing to rapidly expand over the next two years, bringing high-level technology to tens of thousands of small and medium Not for Profit organisations who are currently held back by cost. However Jacquier says this will bring with it issues around trust and control that Not for Profit organisations will have to address, as they off-load some of their operational tasks to external providers. According to Ross, the benefits that can be provided by engaging with cloud computing are extensive. She says cloud computing is scalable and elastic, providing much needed flexibility for Not for Profits. As an example of this, she says many Not for Profits are don't have the ability to to deal with thousands of website visitors, such as in the wake of disaster or emergencies. With cloud computing, resources (such as extra bandwidth) can be given to a NFP when it is needed, and when the crisis is over it can easily be scaled down. She says that instead of a one-off transaction – such as purchasing a piece of software – an organisation develops a relationship with the software provider as they have an ongoing arrangement. The provider wants to treat them well, because they want them to come back. She says if Not for Profits are able to access their core applications online, then they are free to do their work from anywhere, allowing NFP staff to go about creating the change they need to do. Brand management – Not for Profits need to move aware from trying to tightly control their brand on social media, viewing it as something they give their supporters rather than something they control. She says when organisations do this, they make it personal, and supporters bring their network with them. Organisations need to use an authentic voice that people can engage with, rather that typical organisational speak. Contextualise the data – organisations don't work alone, so its important to understand what other aspects affect the work an NFP does. Pulling in data from a variety of sources gives a much clearer overall idea. Learn to visualise your data better – bullet points and pie-charts don't provide the information and impact to stakeholders that NFPs need. Set your data free – make some of your data accessible and down-loadable. Ross says technology has given Not for Profits the chance to reinvent what they do, and reimagine what they can do. She says bold steps and experimentation is what is needed. Ross is CEO of the US-based Nonprofit Technology Network, where she has worked for seven years.